Matthias Lodemann completed his legal education at Kiel University. He also holds degrees from Victoria University of Wellington, New Zealand (LL.M.) and Bonn University (Dr. iur.). Employment and labour law were the primary focus of his postgraduate legal training in Hamburg and Sydney, Australia. Matthias Lodemann joined our law firm in 2014. Since 2009, he also lectures in private, commercial and labour law at the FOM University of Applied Sciences in Hamburg. 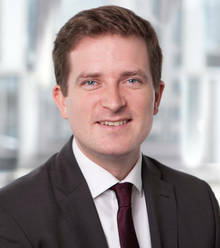 Matthias Lodemann advises on individual and collective employment law, in particular with regard to transactions, restructurings and issues in connection with works councils. He assists companies or senior executives with the termination of employment, including post-contractual non-compete covenants, and with regard to all employment law aspects of compliance cases. Another area of expertise is the German Minimum Wage Act. Fellow of the Konrad-Adenauer-Stiftung e.V. Matthias Lodemann advises in German and English.